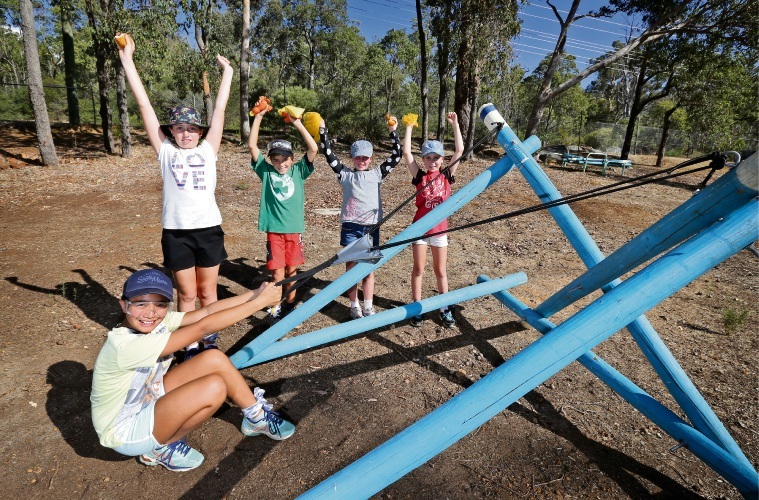 Allegra Diano, Kendra Venn, Shaira Canamo, Emma Brocklehurst and Fletcher Preston with the new catapult at Bickley Outdoor Recreation Camp. Photo: David Baylis. TIME to drag your eyes away from the screen and head to the Bickley Outdoor Recreation Camp for a free community open day. Campers can try their hand at climbing activities, canoeing, cubby building, catapults and reptile handling. Parking will be at Gibbs Park in Maddington and shuttle buses will run throughout the day between Gibbs Park and Bickley Camp, with the last bus departing from Gibbs Park at 2.30pm. The community open day will be held on Sunday, April 7 from 10am to 4pm. To find out more about the event go to Facebook @bickleycamp.